I AM GRATEFUL that our honourable Supreme Court judges fulfilled their promise to India’s queer citizens, albeit a long 71 years after independence. The euphoria that followed has also been interesting to watch. I am happy to see the spectrum of people who have spoken out in support of our country’s queer citizens through everything from newspapers to television channel shows. However, since I work in the corporate world, I must say that I was quite surprised by the silence of most of India’s business leaders. So many of them have LGBTQIA friends and family. Yet, hardly anyone commented publicly, even though they tweet on random issues. We, in the queer community, will remember all those who stood by us over the difficult past few years, and all those who did not. In future, many companies will opportunistically seek to benefit from tapping into the queer community as LGBTQIA rights in India continue to advance. The queer community will remember their silence, at that time. Over the past few days, I have been particularly irked by all the brands coming up with cool rainbow Instagram campaigns. I have some questions for them. Can you please look and see if your HR policies are inclusive? Do you have non-discrimination, partnership benefits, and are you creating an internal culture of inclusion? Do you value your LGBTQIA customers? If not, then all the rainbow-themed shareables that you hope will go viral, are inauthentic, and the queer community sees it as that. My initial reaction to the branded rainbow posts by a whole bunch of companies was that of joy. But, this soon changed to irritation. There is a whole cake to be shared. Our community do not want crumbs any more. We want a large piece of the cake and why should not we? I feel that this verdict gives corporate India a golden opportunity to truly reflect, and engage meaningfully with the queer population. They should be doing so primarily out of their values of equality and inclusion. But, if values are not enough, then there is data to show that focussing on LGBTQIA issues is good business sense. According to the often quoted 2016 World Bank report on the economic cost of stigma and the exclusion of LBGTQIA people, our country’s loss in GDP due to homophobia was valued at $32 billion, or 1.7 per cent of our GDP. There is a strong correlation between being inclusive towards the LGBTQIA community and being innovative and profitable. The early adopters of inclusion in our country—Godrej, Tata, IBM, Infosys, Barclays and The Lalit Suri Hospitality group—are reaping wonderful rewards. They started their efforts way before the Supreme Court verdict, by working alongside each other and by following the UN global standards of LGBTQIA inclusion. I urge other Indian companies to join these companies and use this verdict as a springboard towards diversity and inclusion with regard to our country’s sexual minorities. To start, with please hire queer people. Transgender persons need jobs the most, and, I am excited to see how The Lalit Suri Hospitality group has employed 35 transgender employees in the past one year alone. The Kochi Metro story is also well-documented. We need many more efforts like these. If you want to be an inclusive company, you need to do the hard work and create equal-work environments. Engage with the queer NGOs that exist in our country. Support queer community-building measures. All of this will mean much more than rainbow Insta pictures with your product in them. I can assure you that the benefits will be much more long-lasting. 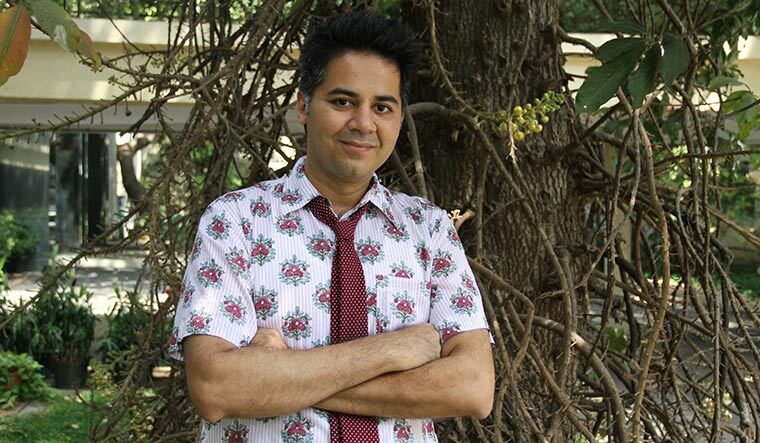 Shahani heads the Godrej India Culture Lab, and is the author of the book Gay Bombay: Globalization, Love and (Be)longing in Contemporary India. He is a senior TED Fellow, a former Yale World Fellow and a member of the World Economic Forum’s Young Global Leaders network.